The international break is coming to a close and we will finally have club football back this weekend! For those who missed the international fixtures, here's a quick roundup on all of the Foxes on national team duty. Evans opened the scoring for Northern Ireland against Belarus by getting on the end of a flicked header from a corner. Northern Ireland won the match 2-1 courtesy of goals from Evans and Josh Magennis. The 31-year-old defender also played the full 90 minutes and helped the squad keep a clean-sheet in Northern Ireland's 2-0 win against Estonia on Thursday night. Tielemans played all 180 minutes of Belgium's two Euro 2020 qualifiers and netted his first goal for his country in the opening match of the campaign. The 21-year-old midfielder on loan from Monaco picked the ball up at the top of the box and calmly fired home into the bottom left corner to score the opener against Russia. Soyuncu was an unused substitute in both of Turkey's matches in this international window. Although the 22-year-old centre-back has already featured in 22 matches for his country, he was overlooked by the manager for these games. Turkey didn't allow a goal in either match, beating Albania 2-0 and Moldova 4-0. Our 32-year-old shot-stopper was between the sticks for Denmark when they took on Kosovo on Thursday night. The match ended in a 2-2 draw after Pierre-Emile Hojbjerg rescued a point for the Danes in stoppage time. Schmeichel conceded three goals against Switzerland on Tuesday as the Danes managed to squeeze out a 3-3 draw in added time. Danny Ward and George Thomas were on duty with Wales in their friendly match against Trinidad and Tobago. Ward kept a clean sheet for the Welsh side in the friendly match but was the backup to Wayne Hennessey in Wales' qualifying match against Slovakia. On-loan winger Thomas also played the full 90 minutes in the friendly match but made little impact on the game. Thomas did not feature for the squad against Slovakia. Wilfred Ndidi played the whole match for Nigeria in the final group match of AFCON qualifying as they defeated Seychelles 3-1. Nigeria had already booked a place in the tournament and await their fate with the draw for the summer tournament set to be held on 12 April. He also played the full 90 minutes in the friendly match against Egypt on Tuesday, as the Super Eagles won 1-0. Four of the Foxes' youngsters featured for the England Under-21 side against Poland on Thursday night. Maddison was the only attacking player to go the full 90 minutes and was a focal point throughout the match. Gray, Choudhury and Barnes all came into the match as late substitutes and were unable to make a real impression on the game. All four players played a part in the England Under-21's 2-1 defeat to Germany in a friendly match on Tuesday. 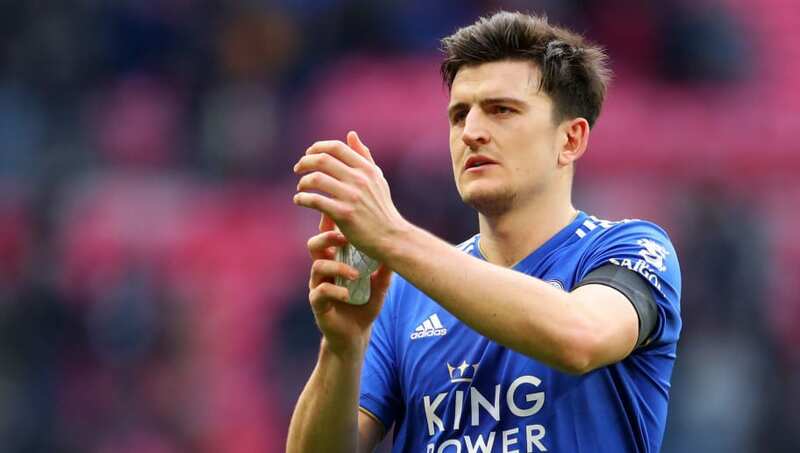 In perhaps the most exciting matchup for City supporters, defenders Ben Chilwell and Harry Maguire earned minutes in England's opening Euro 2020 qualifying games. Maguire played the full match in both games which saw England only give up one goal. Teh Leicester defender anchored the back four and was dangerous for the side on set-pieces throughout. Chilwell was given his minutes in the opening match against the Czech Republic as Gareth Southgate opted to use the Leicester defender ahead of Danny Rose. Chilwell was dangerous up and down the left flank and was constantly causing problems for the Czechs.